There is a wish in many youngster’s heart, “to be an actor or actress”. Whenever we thought deeply about the glamour and fame, we visualize the Bollywood or Mumbai in our vision. The youngster who think to find the peak in acting and movies field, they have one biggest query that ‘how to become an actor or actress’. Generally ones have no idea because they have no experience. Get Latest Career Notification about Acting Courses, by entering your details below. “Acting” is a sort of performing art. But it is more than art as it is a talent. An actor can bind the audience with a chair with his performance. “Acting is an art of express and to perform the different emotions”. The ones who wish to get the career in acting usually undergo the modelling. I understand that this is also a link to the acting but not the proper way. Acting can be developed by the training but not can be produced by the training and any course. There are few schools of drama in India that offer the acting programmes round the year. Many of our celebrities has been opened the classes and schools for providing the training and short-term certificate and diploma course in acting. As we have discussed that this is a type of performing art. There is just one degree in performing art and drama which offers by the few of schools of arts. There is no requirement of a degree course to become an actor or actress. You should have a zeal for this and you may go for the short-term, certificate and diploma courses offer by the various small and big banner schools in India. These courses cost the 35000 to 150000 per complete. Short term or certificate courses take the duration of days to maximum six months and diploma courses takes the duration of 1 – 2 years. The B.A in art and drama takes the duration of three years as the graduation degree programme. As acting is a sort of performing art but it doesn’t mean that only arts students can go for this. The students who are having Science or Commerce stream in 12th standard, they can also go for acting courses if they are really interested in it. To get the admission in the career in acting you should have to sit and think that are you able to work hard. This is very hard to get the stand in this field. You may have good memorization, communication skill and passion. For admission, you may search one of the best schools of acting, get the contact, follow the admission criterion, filling the form, pay the fees and get a good start. After the completion of the course you search the right and valid agent and search the career in various related industries. Some of the schools provide the opportunity to work in add films and TV serials. The second option to get the career in this field you just find the location of auditions leading to the acting and dance in India, then appear the audition and show your full zeal and performance to get the career opportunity in the acting field. It is an ample of job opportunity field but it is a more competitive field. You can start your career right from the Bollywood or TV channels. The TV channels are growing in order to the several popular TV serials, game show and reality shows. There is no age bound to work in the acting field. You may be a child, young or old person. An actor may play a lead role in any serial as per the physical features and experience and skills. Beside the lead role he/she may play the side role, negative role or family or friend role. A movie or serial or add is not the task of one person. To make a movie, more than 2000 people work as the vital role. And you may be out of them. There is a good opportunity to work in Bollywood, Hollywood and Tollywood with various big banners and with various famous like Salman Khan, Katrina, Saif, Karan Johor, Saroj Khan, Akshaya Kumar and many more. The salary in this field is not fixed for an actor and actress. By a survey in the year 2008 the average salary of an actor or actress is $29 per working hour or Rs 1500 – 2000 per hour. A struggling actor on TV channel can earn the rupees 2000 to 10000 per episode. An experienced one can earn the 10000 to 200000 per episode. In Bollywood, a movie lead actor has no bar of salary or payment. You know very well, and we know also. I love acting,& want to be an actor Plz help…..
Join the acting school first. I wanna be an actor . What have I to do for be an actor after 12th class ?? Can I became an actor through mass communication ? you my ernroll yourself in a good acting school, which will help you in learning the basic of acting. Since now , I m preparing myself for it..
Can anyone guide me ? How to prepare my self to be an actor ? you can get yourself enroll in a good acting school, But before that you should focus on your academic education. do your 12th first and then go for NDS Delhi or Pune. get UG in one of the performing arts field and try to get a break in auditions and dramas. Hi! M from Kolkata and need an acting academy name in Kolkata where the fees is less so that i can afford it. Please please. the first step for all those is acting course. will that course give me graduation degree?? May roj yahi sochta Hu kab muchhe koi rasta batane wala milega…. .. .
You you are a good actor, you can join any acting school. I love acting I want become a actor guys please guide me………. get some training in acting and then go for it through your school. Is it necessary tht we need to pass the 12th n then only we can move on for acting ?? can’t we leave it in midway ? if you will go to NSD for acting course, it is needed to have 12th pass. You must have acting talent to get successful in this field, you have to start your career with the theater, and depending on your performance you may get a chance in commercial tv serials. you can pursue acting related courses from recognized schools, start performing in theaters etc. I’m currently in 12th and I want to study theater abroad. So I need some guidance to fill out for the best schoolarship for me out their. Please notify me ASAP. It depends upon which college you are seeking for admission. i’m from up from small village sir I want to become an actor but very confused how can i join acting courses . 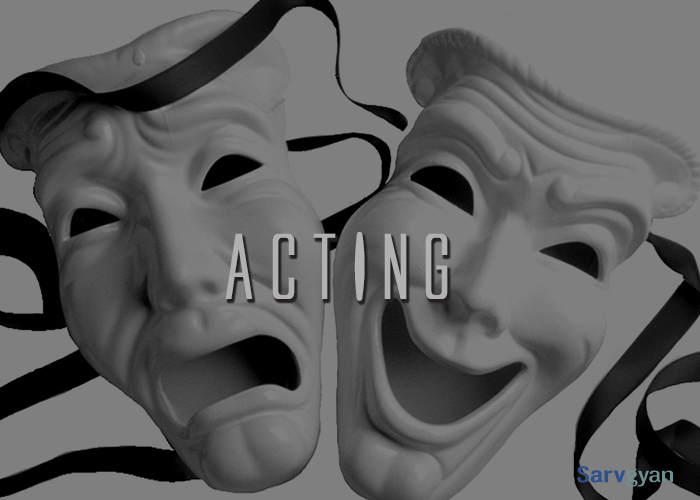 Go through the article of Acting courses, it will definitely help you. I am a 11th science student and born with intense acting skills ..now to continue science after 12th and pursue good acting and best actor skills what should I do? I LOVE ACTING I WANT TO BECOME A ACTOR PLZ GUIDE ME………. Good dear Pavan ji ! If you wanna be a famous personality . I will tell about a place for your dream to be famous! Wish you happy all day!! Sir Namaste my self Biswajit Nahak.From a small village of odisha.I wanna a actor as a star in industry so plz help me to join in an institute nd start my proffessional career in Bollywood now i am in class 11th. Delhi is the town of such institutions. Go and grab. I want to become an actress .I am in 11th science now .i am thinking that after 12th what should I do to become a struggler actress .it’s my aim or u can say my obsession to become this .so pls help me to complete this or u can contact me in this email id. you can take acting classes from any reputed institute. you can join theater and enhance your acting skills over their. I am in 10th class I too want to become an actress. I want the guidance for the first step that I should take. Join any dance or acting class near you and get participation in acting and dance competition. yes of course you can, you need to join good training academy. i want to do acting course after 12th. If you’re interested in acting then you should join theatre and any good acting schools which will help to make your future in this field. I want to do acting. I want to villain role, but i am confused. Kha se admission krau ya fir kha pr kya kru. PlZ help me,sir. A plslaingey rational answer. Good to hear from you.